As part of the 2017 tax law changes, a new tax benefit created under Sections 1400Z-1 and 1400Z-2 of the Internal Revenue Code (the "Code") allows for the deferral of capital gains invested in designated low-income communities known as Qualified Opportunity Zones ("QOZs"). Over the past few months, we have received numerous inquiries from clients and others on how to take advantage of this new tax benefit. Many of those inquiries have focused on the various legal issues relating to the formation of Qualified Opportunity Funds ("QOFs") and investments by the funds into QOZ business properties. Recently, guidance was issued by the Internal Revenue Service (the "IRS") in the form of Proposed Regulations, a Revenue Ruling, draft Form 8996 and draft instructions for that form. That guidance should help taxpayers contemplating a gain deferral and parties contemplating the formation of a QOF or a QOZ business obtain some of the clarity they need to start taking advantage of the new rules. Under the new program, taxpayers can defer tax on capital gains invested into a QOF if the capital gains are invested into the QOF within 180 days of the date on which the gains were realized. If certain conditions are met, the capital gains are deferred through the re-investment of proceeds into a QOF. The deferral ends on the earlier of the date the investment is liquidated or December 31, 2026. In addition to deferral, investment in a QOF offers an opportunity to obtain a level of permanent tax reduction through certain basis step-up rules. Specifically, on the date the taxpayer sells or exchanges its investment in the QOF or December 31, 2026, whichever is earlier (a recognition date), the amount of gain recognized by the taxpayer will be equal to (A) the lesser of the capital gains invested in the QOF or the fair market value of the investment on the recognition date over (B) the taxpayer's basis in the investment on the recognition date. For purposes of this gain calculation, the taxpayer's basis in the investment gets a step-up of 10% after five years and another step-up of 5% after seven years (for a total step-up of 15%). For investments that are held at least ten years, basis is stepped-up to the fair market value of the investment on the date of disposition. Thus, under these new tax rules, the use of a QOF can, in proper circumstances, allow taxpayers to pay deferred tax on just 85% of their original capital gains and no tax on new gains earned in the QOZ. 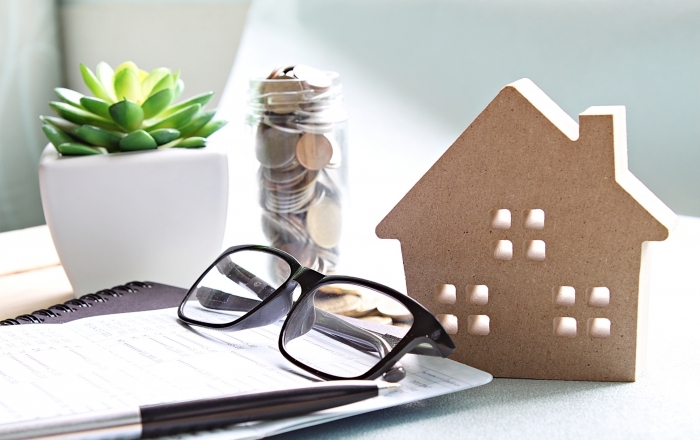 The new rules provide an opportunity to sellers of real estate, operating businesses and other capital assets to obtain tax deferral by investing in a QOF. Now that the IRS has provided guidance on certain key aspects of these rules, we expect that a significant number of QOFs will be formed between now and year end and that QOFs will begin investing, directly or indirectly, in QOZ business properties. To qualify for this special tax treatment, the QOF must invest at least 90% of its assets either in QOZ business property or in QOZ businesses that invest in QOZ business property, determined by averaging the percentage of QOZ business property held by the QOF, as measured (A) on the last day of the first 6-month period of the taxable year of the QOF, and (B) on the last day of the taxable year of the QOF. QOZ business property is property used in a trade or business of the QOF if the property was acquired by the QOF by purchase from an unrelated party after December 31, 2017, the original use of the property in the QOZ commences with the QOF or the QOF substantially improves the property, and during substantially all of the QOF’s holding period for the property, substantially all of the use of the property was in a QOZ. Guidance on Self-Certification of QOFs. The Proposed Regulations clarify that any entity classified as a corporation or partnership for federal income tax purposes and organized in one of the 50 states, the District of Columbia or one of the U.S. possessions is eligible to be a QOF; provided that the entity attaches a copy of Form 8996 to its tax return for the year in which it becomes a QOF. Among other things, Form 8996 requires the entity to identify the first taxable year and the first month in that year in which the entity intends to qualify as a QOF. Guidance on 90% Test Measurement Periods. To qualify as a QOF, the fund must hold at least 90% of its assets in “QOZ property” QOZ business property or in QOZ businesses that invest in QOZ business property, as measured (A) on the last day of the first 6-month period of the taxable year of the QOF, and (B) on the last day of the taxable year of the QOF. The Proposed Regulations clarify the phrase “first 6-month period of the taxable year of the fund” to mean the first 6 months each of which is in the taxable year and in each of which the entity is a QOF. Accordingly, if an eligible entity becomes a QOF in the seventh or later month of a 12-month taxable year, the 90% test takes into account only the QOF's assets on the last day of the taxable year. The Proposed Regulations provide that if a QOF has an “applicable financial statement” as defined in Treas. Reg. §1.475(a)-4(h), then the value of the QOF’s assets for purposes of the 90% test is the value reported on the financial statement. The Proposed Regulations also provide that if the QOF does not have an applicable financial statement, the value of each asset will be the QOF's cost of the asset. As noted above, a QOF may meet the 90% test through the ownership of interests in QOZ businesses. Among other things, a QOZ business must satisfy the requirements that "substantially all" of the tangible property owned or leased by the trade or business is QOZ business property, and less than 5% of the average of the aggregate unadjusted basis of the property of the trade or business may be attributable to nonqualified financial property. The Proposed Regulations clarify that a trade or business is treated as satisfying the foregoing “substantially all” requirement if at least 70% of the tangible personal property owned or leased by the trade or business is QOZ business property. The Proposed Regulations also clarify that this 70% test does not apply to QOZ business property owned directly by the QOF. Therefore, if the QOF owns the QOZ business property directly or through a single member LLC that is disregarded for federal income tax purposes, the "substantially all" test is irrelevant. For purposes of testing whether the QOZ business satisfies the requirement that less than 5% of its property constitute nonqualified financial property, the Proposed Regulations provide a working capital safe harbor. To meet the safe harbor, a QOZ business must designate in writing the amount of the working capital to be used for the acquisition, construction, and/or substantial improvement of tangible property in a QOZ, the business must have a written schedule consistent with the ordinary start-up of a trade or business for the expenditure of working capital assets, the schedule must evidence that the working capital assets will be spent within 31 months of the receipt by the business of the assets, and the working capital assets must actually be used in a manner that is “substantially consistent” with the foregoing. As drafted, it appears that this safe harbor does not apply to a QOZ business property that is owned by the QOF either directly or through a single member LLC that is disregarded for federal income tax purposes. Clarification on the Types of Taxable Gain that Can Be Deferred. To be eligible for the tax deferral available through an investment in a QOF, the gain to be deferred must be invested in a QOF during the 180-day period beginning on the date of the sale or exchange that generated the gain. The Proposed Regulations provide that the gain eligible for deferral includes only gain that would be treated as capital gain for Federal income tax purposes. Accordingly, the tax deferral available through an investment in a QOF would apply to both short-term and long-term capital gain as defined in Section 1222 of the Code. Presumably, deferral is also available for Section 1231 gain (although this is not specifically stated in the Proposed Regulations). The Proposed Regulations clarify that individuals, C corporations (including RICs and REITs), partnerships, S corporations, and trusts and estates are all eligible to make the election to defer their gain through an investment in a QOF. In the case of gain recognized by pass-through entities, the pass-through entity may elect to defer some or all of its gain under the new rules and, to the extent that it does not so elect, holders of interests in the entity may elect to defer some or all of their shares of the entity's gain. Prior to the issuance of the Proposed Regulations, there was some uncertainty on when the 180-day period for re-investment began. The Proposed Regulations provide that the first day of the 180-day period is the date on which the gain would be recognized for Federal income tax purposes. In the case of a pass-through entity, the entity's 180-day period begins on the date the gain would be recognized for Federal income tax purposes and, to the extent that the entity does not elect to defer gain through investment in a QOF, each interest holders' 180-day period begins on the last day of the entity's taxable year in which the interest holder's share of the entity's eligible gain is taken into account. Along with the Proposed Regulations, the IRS also issued Revenue Ruling 2018-29. Under the Revenue Ruling, the IRS clarified that if a QOF (or a QOZ business) purchases an existing building, the requirement that the original use of tangible property in the QOZ commence with the QOF (or the QOZ business) is not applicable to the land on which the building is located and that the tax basis of the land is disregarded for purposes of determining whether the QOF (or QOZ business) has made a "substantial improvement" to the building. The Treasury Department and the IRS are working on additional published guidance, including additional proposed regulations expected to be published in the near future. The forthcoming proposed regulations are expected to address other issues under the new rules including the meaning of “substantially all” in each of the various places where it appears in Section 1400Z-2; the transactions that may trigger the inclusion of gain that has been deferred under a Section 1400Z-2(a) election; the “reasonable period” for a QOF to reinvest proceeds from the sale of qualifying assets without paying a penalty; administrative rules applicable under Section 1400Z-2(f) when a QOF fails to maintain the required 90% investment standard; and information-reporting requirements under Section 1400Z-2. While the Proposed Regulation and the Revenue Ruling do not address all of the open issues, they should be viewed as providing a sufficient level of comfort to open the flood gates for the formation of Qualified Opportunity Funds and the offering of interests in those QOFs to taxpayers seeking to defer their gain under the Qualified Opportunity Zone rules. Note that as with the formation of any fund, the creation of a Qualified Opportunity Fund and the offering of interests in the fund require compliance with both Federal and State securities laws and the offering of interests in the Qualified Opportunity Fund should be made in connection with a Private Placement Memorandum.